On 6th December 2017, the ISSRAR Consortium (Innovative Sanitation Solutions and Reuse in Arid Regions) held a kick-off meeting under the patronage of H.E Dr. Hazim AlNassir, Minister of Water and Irrigation and H.E. Mr. Hans-Peter Lenz, Swiss Ambassador to Jordan, to announce the launch of the inception phase of its project entitled Sanitation Solutions for Underserved Communities in Jordan. 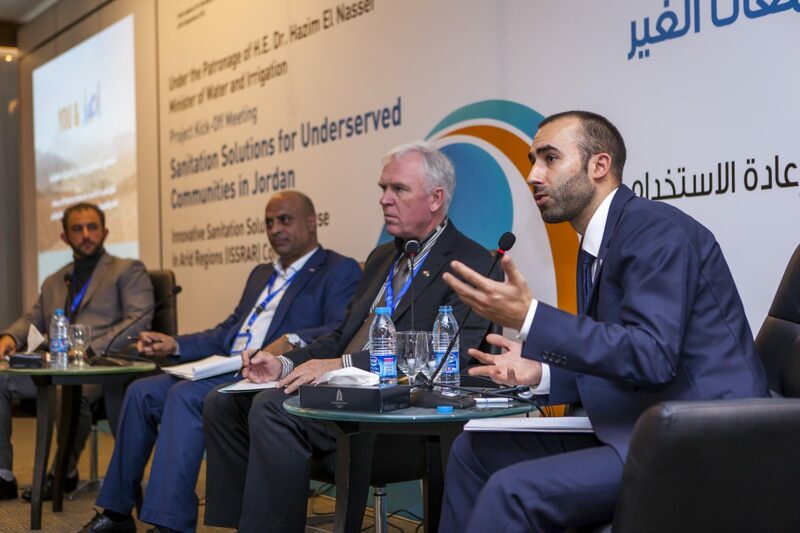 This project, which aims at Maximising the Reuse of Water in Underserved Communities in Jordan, falls under the umbrella of the recently signed Memorandum of Understanding between Switzerland and Jordan governing cooperation in the fields of Water, Sanitation and Hygiene (WASH), Water Governance, Water Diplomacy and Transboundary Water Management in Jordan. The project, which is funded by SDC (Swiss Agency for Development and Cooperation), will be implemented by the ISSRAR Consortium, made up of two NGOs: BORDA and seecon. BORDA (Bremen Overseas Research and Development Association) is a nonprofit civil society expert organization headquartered in Bremen, Germany, that provides innovative, demand-driven support in wastewater management and integrated urban planning. Seecon is a Swiss consultancy specialising in Good Water Governance and providing support to water-sector institutions to establish sustainable business strategies. 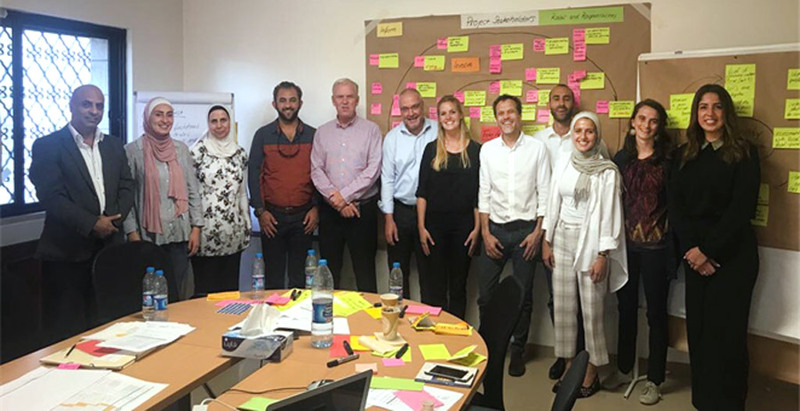 Together, BORDA and seecon will work closely with local communities and national stakeholders in a transparent and participatory approach to implementing sustainable sanitation solutions in Jordan. In the inception phase, the Consortium will first assess the current situation and listen to and collaborate with local stakeholders in order to establish a project implementation plan based on realities on the ground and accepted by all stakeholders. The project aims to develop a suitable intervention plan, design appropriate sanitation infrastructure and operational concepts, raise awareness, and build local capacity. The consortium and its local partners will participate with civil society by way of recommendations for legal and regulatory amendments aiming at policy and behaviour change in the area of water reuse. Once implemented, the project will lead to water reuse and water resource recovery at community level. 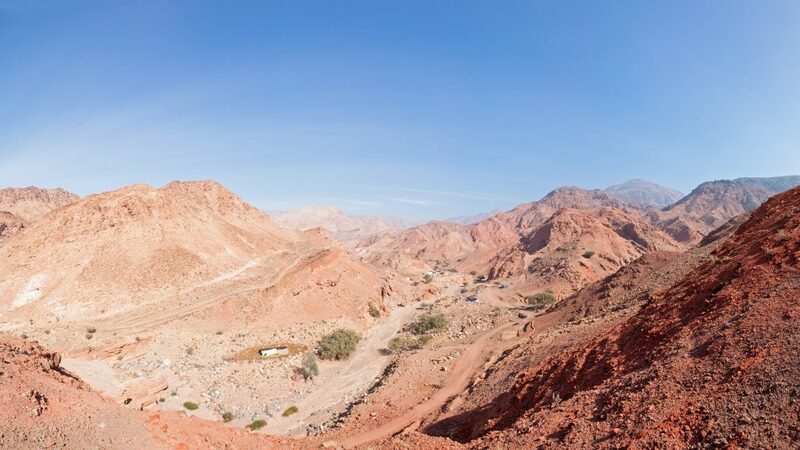 With this project, ISSRAR will directly support Jordan’s Global Sustainable Development Goals by improving sanitation infrastructure and awareness in Jordan’s underserved Communities. © 2019 BORDA WesCA. All Rights Reserved.